Afternoon tea conjures up tea at the Ritz – elegance, sophistication and dainty treats, beautifully arranged on finest bone china. Be it in a café, a friend’s kitchen, a five star hotel or in the garden, afternoon tea is a wonderful way to entertain. Nowadays tea is far more than just a cup of Barry’s. Traditional Indian black teas, like Earl Grey, Darjeeling and Lapsang, green Japanese Matcha and Chinese white tea are finding ever-greater popularity. We love our tea in Ireland – we drink more of it than anyone in the world, except the Chinese! In fact it’s officially the new coffee: Starbucks have recently opened the first Tea Bar in New York, single estate teas are a big buzz, and there is a growing interest in quality and provenance and pairing special teas with particular foods. For those who want to boost their knowledge, we will cover the history of tea, how different teas are produced, how to blend and brew each to perfection, and how to use different teas as a flavouring in other recipes. 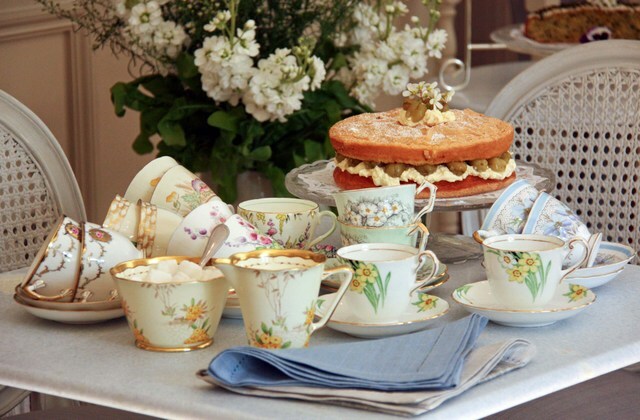 This course is a great introduction for those with dreams of starting a café, hosting pop up tea parties, catering, and everyone who loves a good cup of tea and slice of cake. Students will have the opportunity to taste everything prepared during the course... and there’ll be plenty of tea to try too! Courses on during week of 24th October.